Samsung on Wednesday unveiled its Galaxy Note8 smartphone, positioning the oversized handset as the ideal choice for those who want to do bigger things. The new Android-powered device’s larger Infinity Display features nearly bezel-less full-frontal glass and an edge-to-edge screen. 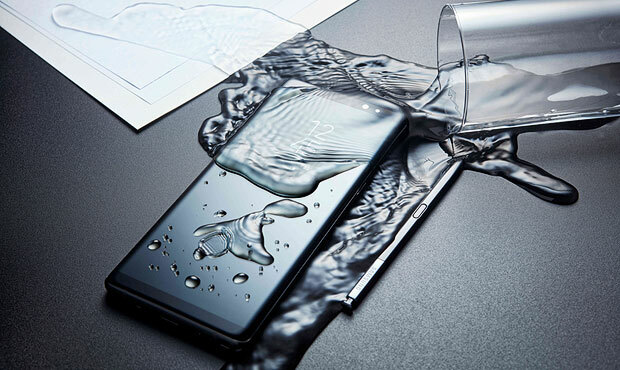 The Galaxy Note8 is both water- and dust-resistant, and it supports fast wireless charging. Under the hood, it features 6 GB of RAM, an Octa Core 2.36-GHz Quad + 1.7-GHz Quad 10nm processor, 65 GB of storage, and expandable memory. Although the handset is built around a 6.3-inch Quad HD+ Super OMOLED screen with a truly wide 18.5:9 aspect ratio, it still can be considered a true “handset,” as it can fit in most users’ hands reasonably well. The S Pen allows users to send handwritten notes and even create animated GIF files from videos. Samsung has touted this functionality as a true step up from traditional text messaging. The S Pen is more than a stylus, as it features a 0.7mm tip that is far more precise that the styluses that were used with Palm and other devices a decade ago. It also is truly connected to the device. It has 4,096 levels of pressure, and thus can respond to the touch of the pen tip more accurately. It has eraser functionality as well. Another touted improvement in the Galaxy Note8 is its Always On Display, which allows users to receive and read notifications without unlocking the device. Preordering for the Galaxy Note8 began on Thursday. It will be available from major carriers, or as an unlocked version. The unlocked handset will retail for US$929. Among its feature highlights are the Galaxy Note8 rear cameras — as in plural. It is the first handset to feature two 12-MP rear cameras with Optical Image Stabilization (OIS). These cameras offer both wide-angle and telephoto lenses, which give users greater control of the depth of field. Users can adjust the bokeh effect in preview mode, as well as after a photo is taken. The wide-angle lens has a Dual Pixel sensor with rapid autofocus functionality, capturing sharp images in low-light conditions. The camera further offers a Dual Capture mode: Both cameras are utilized to take two photos simultaneously — one a close-up using the telephoto lens, and the other a wide-angle shot of the same subject. 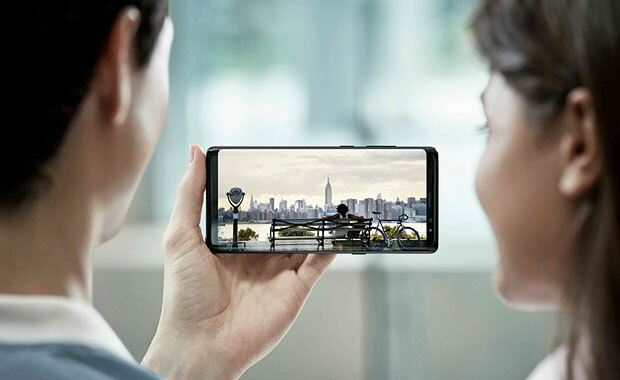 In addition to the dual rear cameras, the Galaxy Note8 has an 8-MP Smart Auto Focus front-facing camera that can be used for video chats as well as selfies. With its key features — including the three cameras and large display — the Samsung Galaxy Note8 clearly is meant to be a premium smartphone. However, it isn’t exactly the company’s newest flagship product. “With Samsung, we look first at the hardware; the display is gorgeous,” said Ramon Llamas, research manager for wearables and mobile phones at IDC. “It feels good in the hand, and it is a great looking device, but it is really the software that makes this thing hum –and there it isn’t revolutionary,” he told TechNewsWorld. “The Galaxy Note8 is just moving it further in the same direction,” added Llamas. Still, “the Note8 appears to be the clear direction of what Samsung believes the premium smartphone design should look like,” observed Wayne Lam, principal analyst for mobile electronics at IHS Markit. The issue will be whether even the core Samsung customer will embrace the handset, given that it is a premium device without any key revolutionary benefits or improvements. What it does add may be too little — even for the core audience. “All these innovations come at a price, and the cost of the Note8 will be the most expensive version of the series — more so than the ill-fated Note7,” added Lam. Yet, Samsung is appealing to the hard-core Note users, he suggested. The next iPhone — the 10th anniversary model — could give Samsung’s Note8 a run for its money. It remains unknown whether Samsung can put the Note7 disaster in the past for good. “With each device that comes out, that debacle with the exploding batteries is further in the rearview mirror,” said IDC’s Llamas. “They did everything they could to restore trust, and that was a key part of the presentation that introduced the Note8,” he added.